Ok, it has been a month since I last posted. 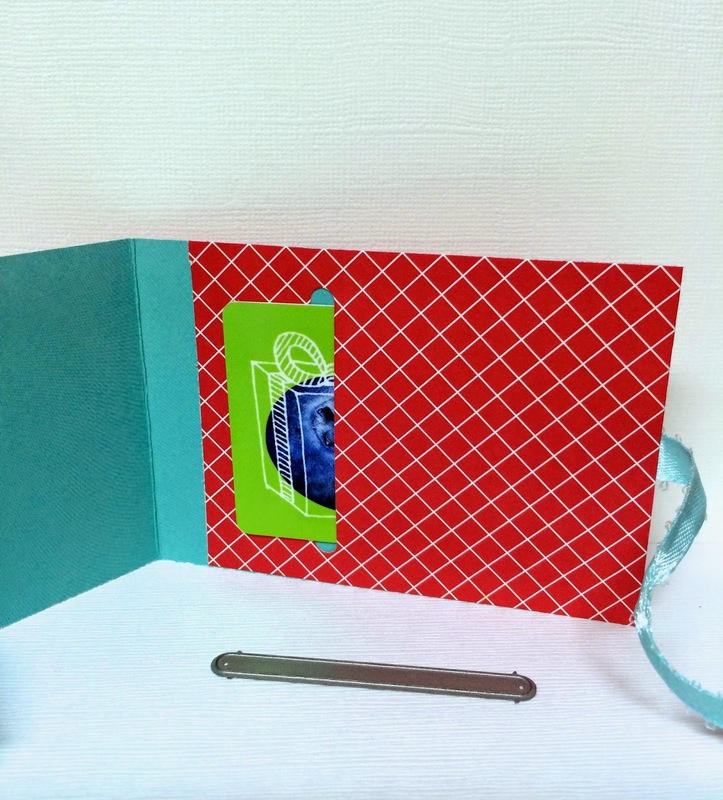 I got my hands on a new die set from MFT Dienamics - gift card grooves (I think that's the name) and made a gift card holder using one of the dies. 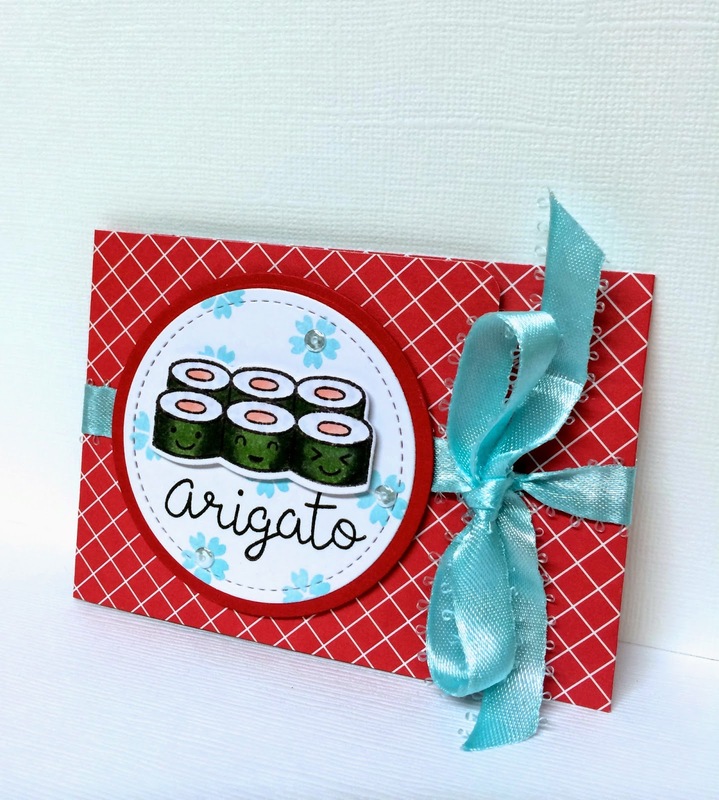 There are 4 dies in the set and you can make your gift card holder 4 different ways. I used Lawn Fawn's "let's roll" stamp set since I had extra pieces lying on my craft table. In fact, everything I used was scraps. Lol! I cut the holder at 3" x 12" and scored at 3 1/4" and 7 1/2". That's it. Very easy to make! My husband has a new line in his store called Pretty Pink Posh and her sequins are the best I've seen so far. I used the clear 4mm on the stamped flowers in the background. If you click on the photo you can see it better. I also used clear wink of stella on the sushi. Here's what one of the dies looks like. I really haven't had much time lately to work on any projects. It's the busiest time of the year at work. I'm kind of dreading next week Friday because we have to go to our stores and take down Thanksgiving and put up New Years. Well, thanks for checking in and staying with me here on the blog. Hope you have a great Thanksgiving Day!! !